The Amherst Youth Foundation (AYF) is dedicated to supporting a broad range of programs to benefit the youth of Amherst, New York. We are proud to serve the youth in our community. We maintain our facility in order to serve youth and families in our community - through both fundraising to support our youth and through ever expanding direct programs. We are particularly proud of our MIDDLE SCHOOL STUDENT NIGHTS! We draw students from the entire community to our special events where the focus is on them! If you agree that children are our most precious resource for the future and would like to help our efforts, please consider making a donation today! All contributions are tax-deductible as allowed by Federal and State Tax Code (the Amherst Youth Foundation is a 501c3 not-for-profit organization).Thank You! 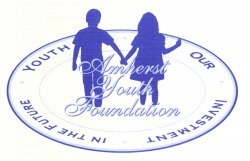 The Amherst Youth Foundation (AYF) is the premier fundraising organization, dedicated to supporting a broad and diverse range of programs to benefit the youth of Amherst, New York. Responsibility: Maintain the highest integrity and fiscal responsibility in the planning, execution, and ongoing management of Foundation activities. Partnership: Develop, reinforce and maintain productive collaborations and strong communications with our partner organization -- the Amherst Youth Board, local school districts, other community organizations, all levels of government, and the community at large. Commitment: Provide sustainable resources that create opportunities for the youth of Amherst to achieve high goals and grow as responsible, caring members of our community. Learning: Support programs that provide meaningful learning experiences for our youth. Support the development of services for children and families.